If you are gastronomy aficionados, in constant search of sensational flavours then AKS Hinitsa Bay hotel will charm you with its delectable dining options. 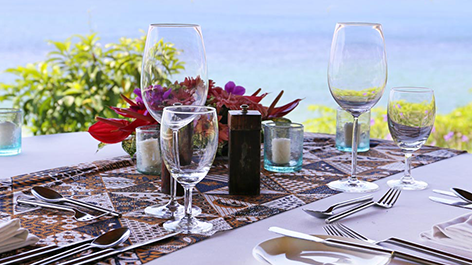 From early in the morning until the evening, the gastronomic delights of our four venues promise to satisfy even the most demanding of taste palates. Quality ingredients come together with an experienced chef and his cooking team to deliver exceptional, creative dishes for our distinguished guests to enjoy. 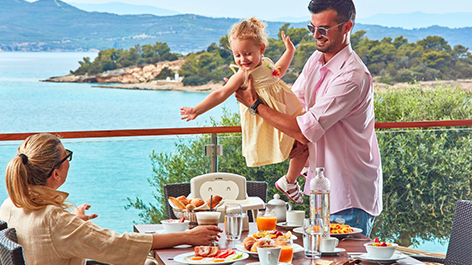 The main Zephyros Restaurant is a placed that is doused in natural light, where we serve a fresh selection of food in a buffet layout that gives our guests the ultimate freedom of choice. It is wide in range throughout the day in order to cover both adults and children’s preferences, with deliciousness being the ultimate criterion. 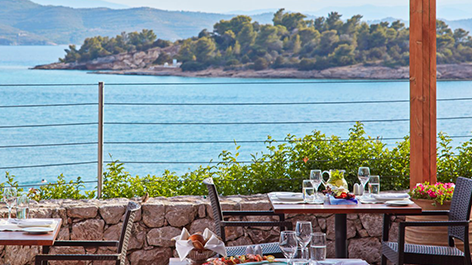 For those who desire to dine in with more privacy, the Sunset Terrace is our a la carte dining venue, brimming with effervescent Mediterranean dishes. Situated on the west side of our veranda, it is soaked in immaculate sea vistas and promises an incredible dining experience for guests. Of course, the Sirocco Poolside bar is where you can sample some light meals, from our variety of snack choices which you can indulge in right by our refreshing pool. 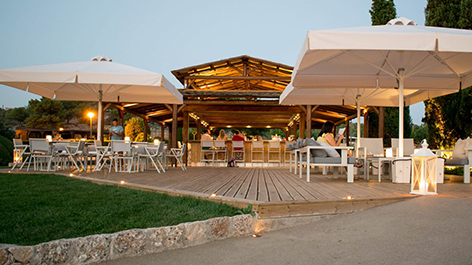 For a closer to the beach experience, Asterias Beach bar offers the unique ambiance of our beachfront, serving a selection beverages, soft drinks, and cocktails for your enjoyment.